[tps_footer]Bollywood actors Salman Khan and Shah Rukh Khan surely make their impressive public appearance, but their recent appearance on Bigg Boss 9 show has put them into trouble. As earlier we informed, actors Salman Khan and Shah Rukh Khan have fall into a criminal offense for allegedly wearing shoes inside the temple in the promo video of Bigg Boss 9. The case has been filed against the two actors for allegedly hurting religious sentiments during their shoot for Bigg Boss 9 promo and the case against the actors would be heard by the Delhi Court on Friday, January 22. With the latest updates on the same, now additional Chief Metropolitan Magistrate V.K. Gautam has listed a case against the actors for January 22 after the complaint was filed by Gaurav Gulati. He told the court that he noticed on a YouTube post dated December 15, 2015 that the actors wore shoes on the sets of a Kali temple while shooting for a reality TV show. An idol of goddess Kali was seen in the backdrop, he said. 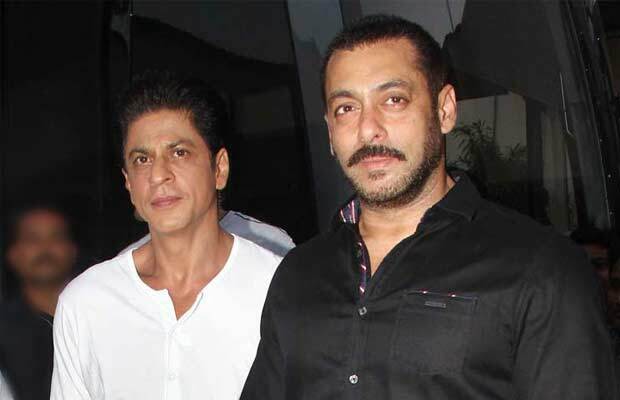 Not only against Salman and Shah Rukh khan, the case has also been filed against the producer and director of the reality show for showing the same. The makers of the Bigg Boss 9 show are alleged for the offences under sections 295A (deliberate and malicious acts intended to outrage religious feelings), 298 (uttering words with deliberate intent to wound religious feelings) and 34 (common intention) of the IPC. It is said that the complainant approached Roop Nagar Police Station and as no action was taken there, he went ahead to court. Previous articleDid Deepika Padukone Accidentally Announce Ranveer Singh As Her Boyfriend? Next articleBigg Boss 9: Keith Sequeira Makes 7 Revelations After Eviction!